Hailed by Strad magazine as a “strong artistic personality”, Singaporean violinist, Ning Kam has gone on to perform all over the world both as soloist and chamber musician. She was the Second Prizewinner at the Queen Elisabeth Competition in 2001 and was praised by Belgium’s De Standaard as “manifestly the best violinist of the competition”. She also won the Flemish Radio and Television Audience Prize in that year. She has performed under the batons of conductors such as Yehudi Menuhin, Lorin Maazel, Okko Kamu, Lan Shui, Louis Langree and Eri Klas with orchestras such as the Cleveland Orchestra, Singapore Symphony, Malaysian Philharmonic, City of London Sinfonia, National Orchestra of Belgium and the Phoenix and Tucson Symphony Orchestras. Kam has also collaborated in chamber music with musicians such as Yehudi Menuhin, Patricia Kopatchinskaja, Louis Lortie, Marie Hallynck, Qin Li-Wei and Francis Kam amongst many others. Ning performed at the inauguration of the Concert Hall at Esplanade Theatres on the Bay in 2002, in the presence of Prime Minister Lee Hsien Loong. She was also invited to perform at the President’s Command Performance in Singapore in 2009 by the late President S.R. Nathan. She was the winner of the Young Artist Award in 2000, presented by the National Arts Council of Singapore. Between 2010 and 2017, Ning was the Artistic Director of Het Kamerorkest Brugge, a conductorless chamber orchestra with a focus on 20th and 21st century music. She has also been invited to guest lead and direct the strings of the Rheinische Philharmonie Koblenz in seasons 2015/16, 2016/17 and will return there in season 2017/18 and 2018/19. She has also directed the Re:Sound Collective in Singapore in season 16/17 and will direct the strings of Symfonieorkest Vlaanderen in season 2017/18. Ning is a member of the Kheops Ensemble and is also a founding member of Loco Motive, a bluegrass and jazz trio with cellist, Sebastien Walnier and double bassist, Lisa De Boos. 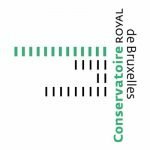 Since September 2017, Ning has joined the faculty of the Conservatoire Royal de Bruxelles as Professor of Violin. As a born-again Christian, she has been an Ambassador for International China Concern, a Christian charity that cares for the abandoned and disabled in China. Ning plays on a 1668 Nicolas Amati on generous loan from the Rin Collection, Singapore. Yes, to bring God His due glory for what He created. But what truly gives God His glory, is when we reflect His character in what we do…to others. There are people all over the world who have yet to hear of His Name, who are right this minute living under desperate circumstances. People who would give their right arm for what we completely take for granted. People who don’t have the liberty or luxury to simple everyday things such as eating when they want or however much they want; or going to sleep without the fear of death around the corner in a war zone. Or going to school. Or perhaps they cannot take a walk because they simply do not have any legs to walk with or maybe a disease has overtaken their lives so they are bedridden. These things that can so easily be preventable in our society just seem to these less fortunate like insurmountable obstacles. We can help. You can help.